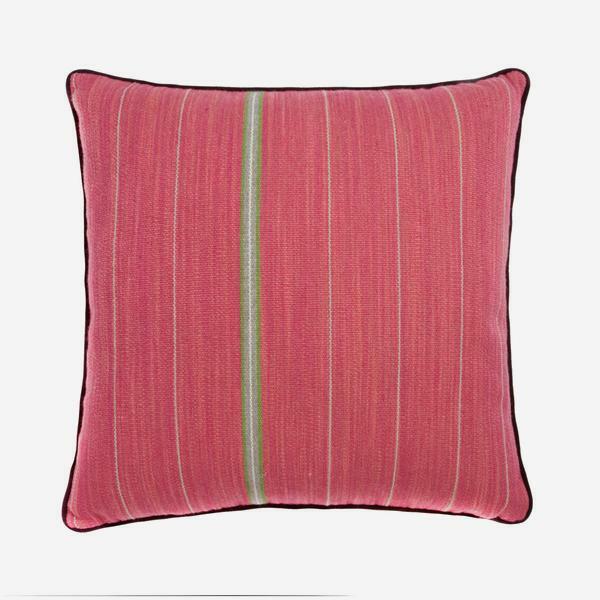 A zingy horizontal stripe in pink, with flashes of green. 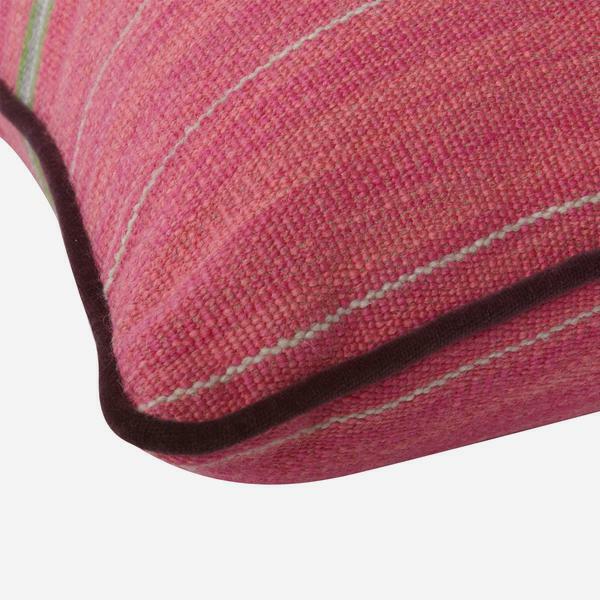 A wool blend fabric perfect for the upholstery of sofas, chairs and headboards. 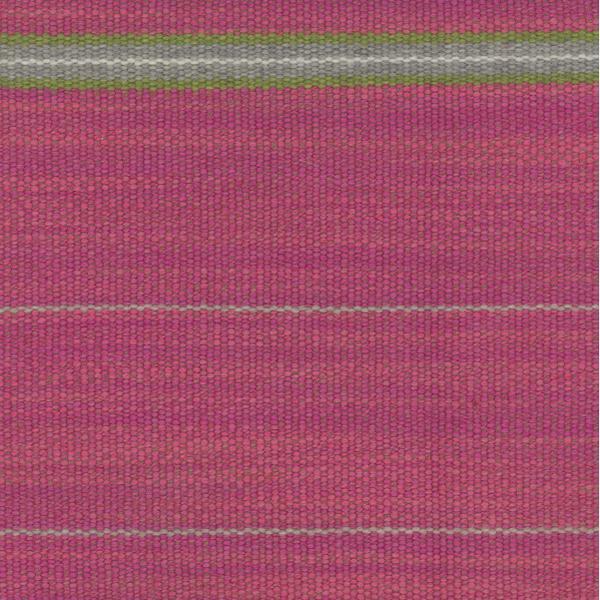 This fabric plays with you eye and surprises you with exciting lines. 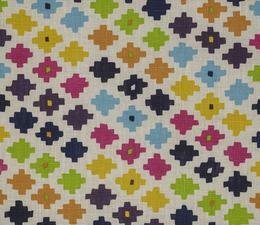 It will add Brazilian vitality to any room.